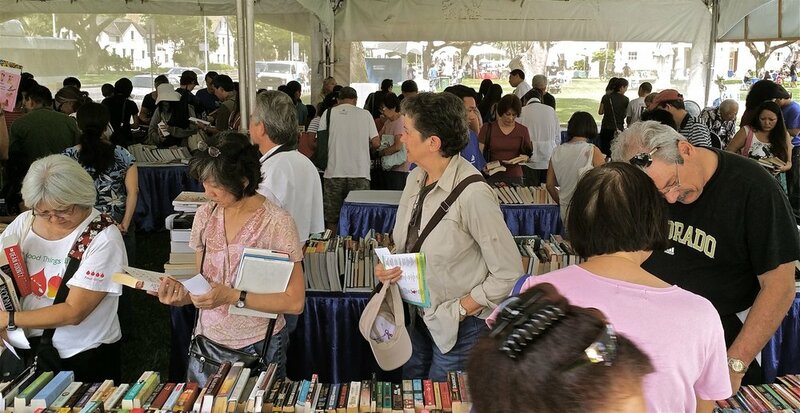 The Hawaiʻi Book and Music Festival runs May 4-5, 2019 from 10 a.m.- 5 p.m. each day. If you would like a booth at the festival, please review and complete the application at your earliest convenience. The deadline for submission is March 15, 2019. Applications should be sent to Amy Hammond, Special Events Hawaii, as specified in the application. The City and County of Honolulu currently requires a certificate of insurance for all booths, due March 15 2019. If you don’t have access to an existing policy, or cannot add on a rider onto your existing policy, we offer an option to purchase the required certificate of insurance through HBMF for a fee of $50. If you would like us to apply for a certificate on your behalf please check off that option on the agreement and include an additional $50 with your booth fee payment. We will take care of the entire process and will forward your certificates of insurance to you.